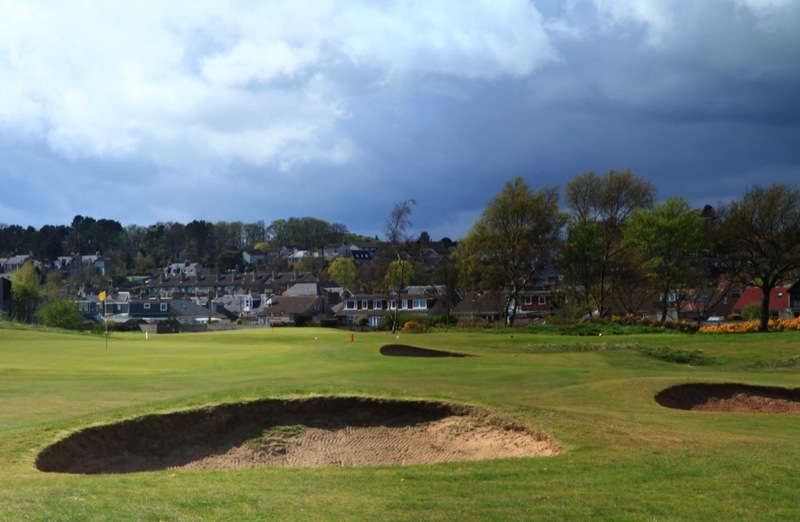 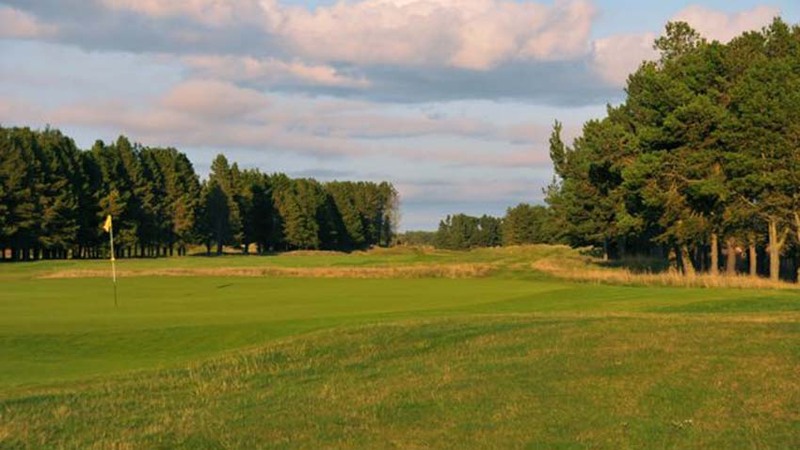 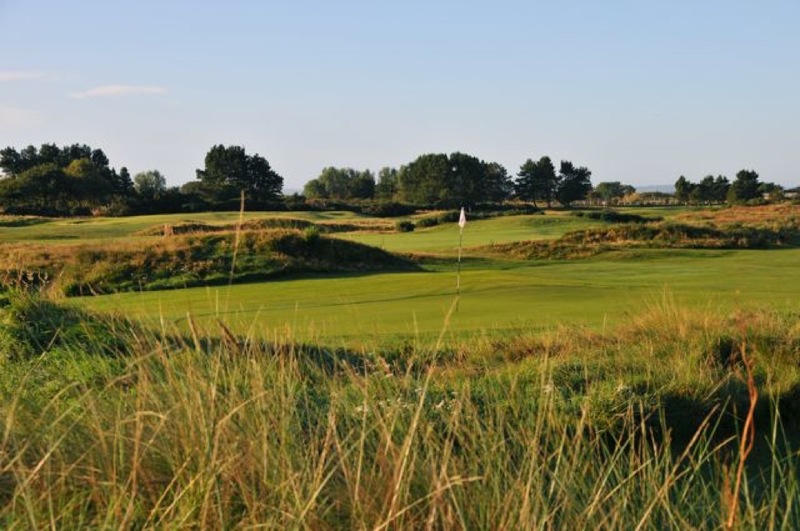 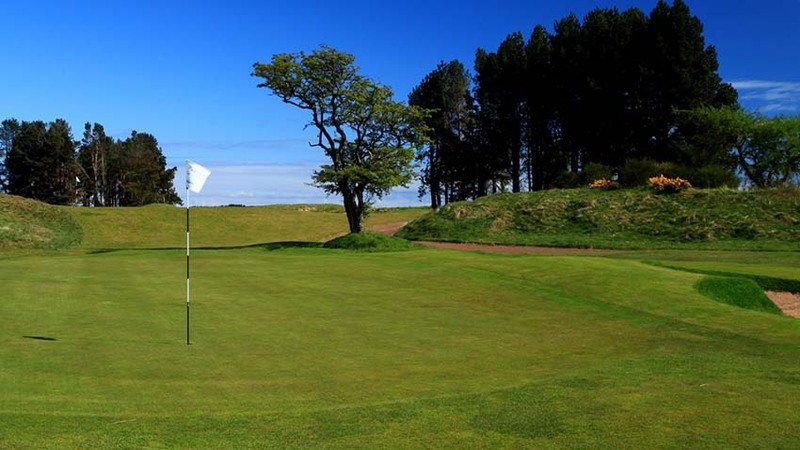 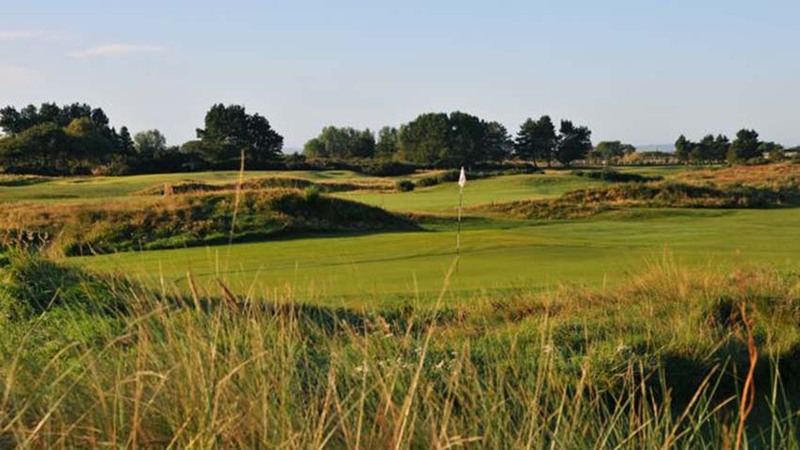 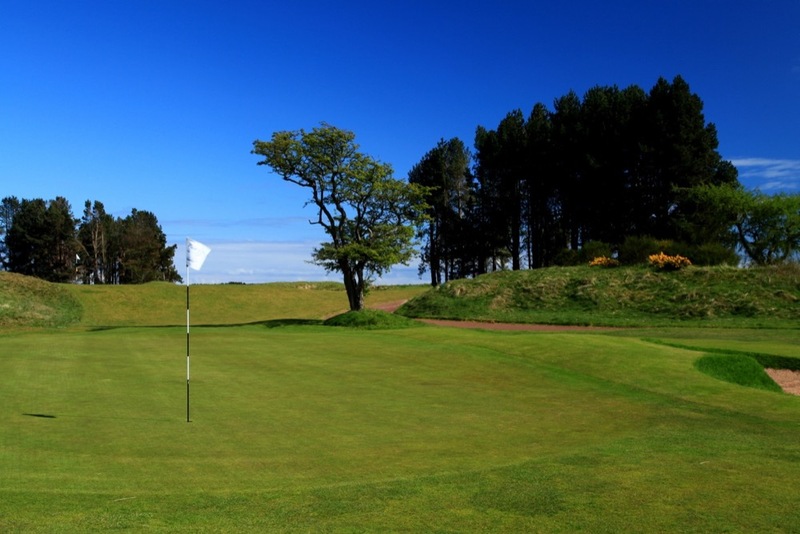 Monifieth Medal Course at Monifieth Golf Links is just a few minutes’ drive from Carnoustie and Monifieth Medal Course is frequently host to Open Championship final qualifying when the Open is played at Carnoustie. 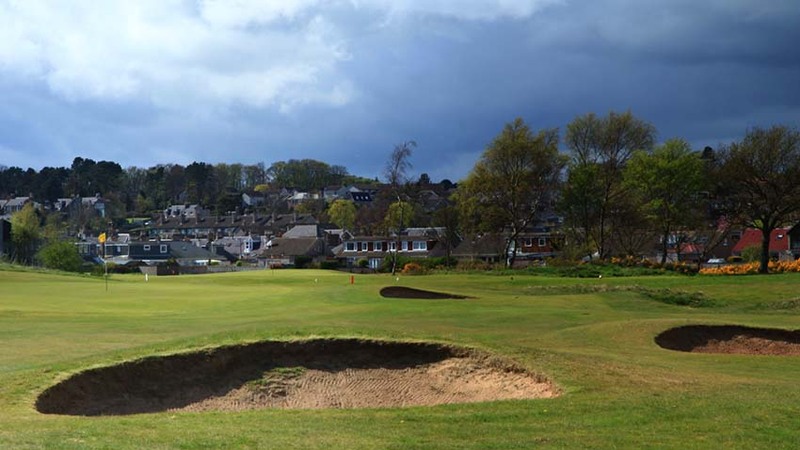 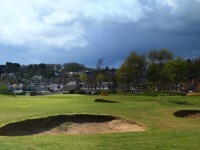 Like the links at St. Andrews and Carnoustie, Monifieth Golf Links is owned by the town and with multiple golf clubs such as Grange Golf Club, Broughty Golf Club, and the Monifieth Golf Club play their golf over the Monifieth Links while having their own clubhouses overlooking the Monifieth Medal Course. 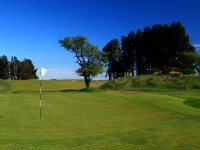 Monifieth Medal Course occupies a very special piece of linksland and much of the front nine at Monifieth Medal runs right next to the main Aberdeen to Edinburgh railway line with out of bounds to the right. 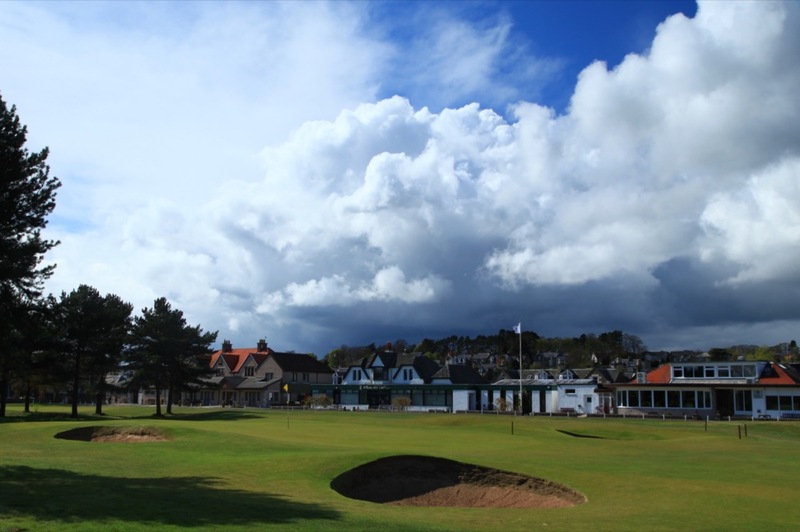 Monifieth Medal features all of the old-fashioned quirks so associated with golf in Scotland such as blind shots, sneaky burns, and ever-present gorse which makes Monifieth Medal Course at Monifieth Golf Links particularly beautiful in May when the gorse is in golden bloom. 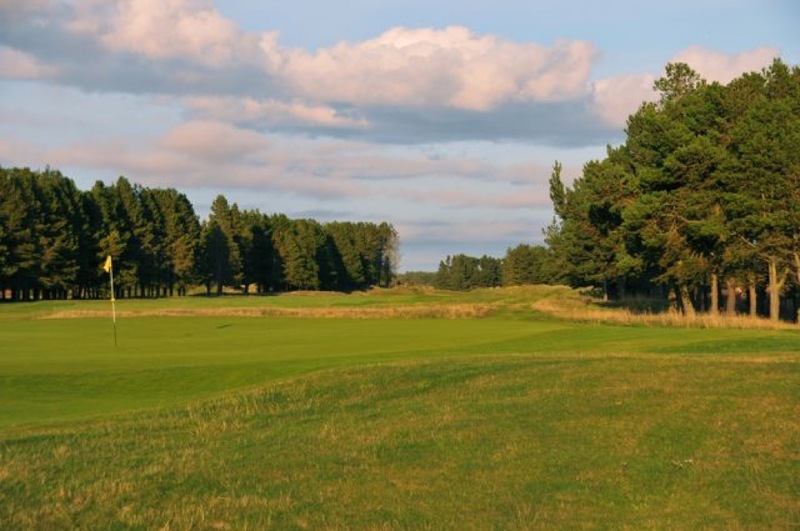 The second course at Monifieth Golf Club is called Ashludie Links and it has been called a mini-version of the Monifieth Medal Course, certainly worthy of a round itself especially combined with Monifieth Medal Course on a 36-hole day. 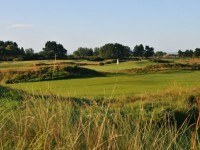 Monifieth Medal Course sometimes unfortunately gets lost with its location between Carnoustie and St. Andrews. 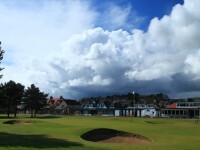 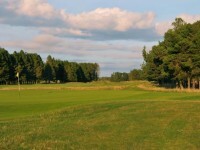 Take the entire Carnoustie golf country and move it about an hour farther away and many more groups would stay for a few nights and play Monifieth Medal, Panmure Golf Club, and Carnoustie’s Burnside Course, rather than just make a day trip to Carnoustie to play only the Championship Course. 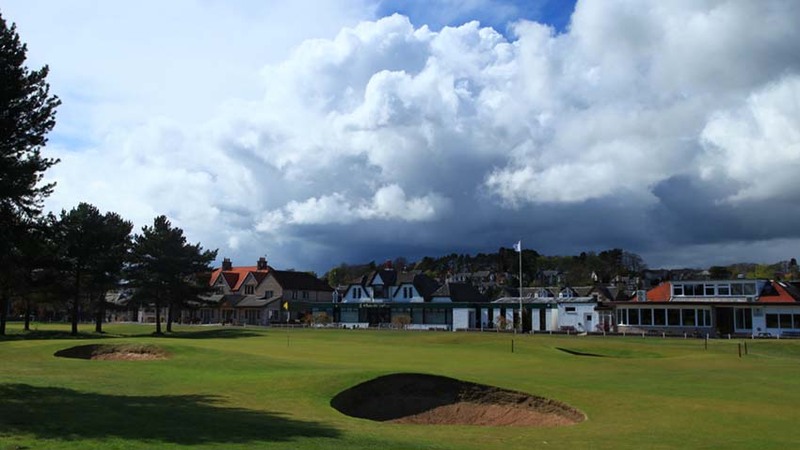 On your trip to Scotland, consider making the Carnoustie area a “destination” and sample that fantastic traditional links golf venues nearby like the Medal Course at Monifieth Golf Club!